jTimeout is a small (less than 5kb minified) yet highly configurable session timeout and keep-alive control implemented in jQuery. 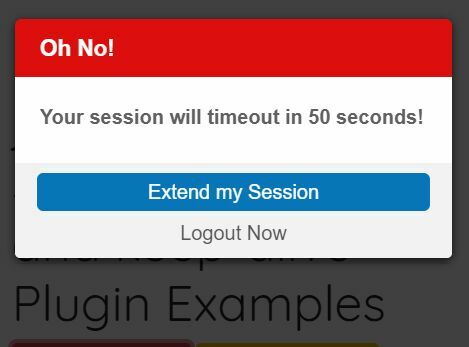 The plugin displays a warning modal dialog to the user when the session is about to expire, with the options to either logout, or extend the session. After the session is expired, the plugin displays a modal dialog that redirects the user to the login url you specify. Flashes the tab/title bar when the session is about to expire. Automatically extends the session when the mouse moves. 1. Download and load the minified version of the jQuery jTimeout plugin after jQuery library. 2. By default, the plugin uses the jQuery jAlert plugin to provide the warning dialog. 3. Activate the session timeout plugin and specify the timeout in seconds and login/logout/extend URLs. 4. All default configuration options. 5. Execute a function when clicking the extend button. 6. Execute a function after timeout. 7. Execute a function when the session is extended. 8. If you want to uses another dialog plugin to replace the jAlert plugin. 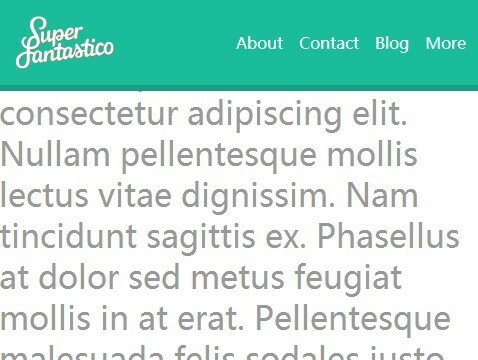 This awesome jQuery plugin is developed by HTMLGuyLLC. For more Advanced Usages, please check the demo page or visit the official website.